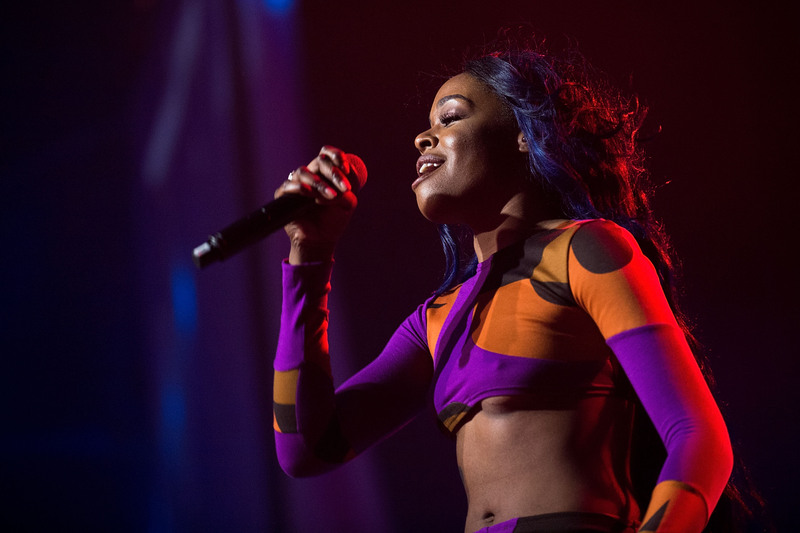 Over the weekend, according to multiple entertainment news outlets and the rapper herself, Azealia Banks and Russell Crowe attended the same party and things got out of hand. What actually happened, however, depends on who you ask. Bustle has reached out to reps for both Banks and Crowe for comment, but has not yet heard back. Update: A person claiming to be Banks' rep, Raymani, posted the following claim on Twitter: "A statement has been issued regarding my client Azealia Banks, 'Azealia is tremendously distraught and disheartened. She is shell shocked... and will speak out on the incident once she has had time to process the brutality and abuse she was unjustly subjected to.'" Update 2: Raymani, who says his firm does handle Banks' PR, tells Bustle, "Azealia is not ready to speak out on the incident but she will be in a day or two, once she has had time to process what happened. Most of the details that have surfaced so far are fictitious and Azealia looks forward to sharing the truth once she has had a time to deal with the trauma." Update 3: RZA released a lengthy statement on his Facebook page in which he sided against Banks' account of the story. Update 4: On Dec. 7, People reported that the Los Angeles County District Attorney's office will not prosecute Crowe in regards to Banks' claims. Earlier: In an reported now-deleted Facebook post Banks is said to have shared on Sunday night, she claimed that the actor assaulted her and called her the n-word. "To recap my night, I went to a [party] at Russell crowes suite, at which he called me a n*gger, choked me, threw me out and spat at me," she claimed on Facebook, according to E! News. "Last night was one of the hardest nights of sleep I've had in a long time." "The men in the room allowed it to happen," Banks also reportedly claimed in the post, E! reported. "I feel terrible today." In a Facebook post still on her page, Banks wrote, "I have receipts. Stay tuned." TMZ reported that eyewitnesses claim Banks laughed at Crowe's choice of music and called him and another guest "boring white men," then allegedly went off on them and another guest who reportedly came to their defense. "You would love it if I broke my glass, stabbed you guys in the throat, and blood would squirt everywhere like some real Tarantino sh*t," Banks allegedly said, reportedly peppering the comment with the n-word. When she allegedly reeled her glass back, Crowe "grabbed her in a bear hug and carried her out of the suite," TMZ claimed, and called security who removed the rapper from the property. Both Banks and Crowe have had several controversies of their own. Crowe notoriously plead guilty to misdemeanor assault in 2005 when he threw a phone at a hotel concierge, People reported at the time. Banks had her Twitter account suspended back in May after sending a series of racial slurs directed at Zayn Malik.